Chinese mining stocks are amongst the big winners in the wake of emphatic signalling by both Wen Jiabao and Ben Bernanke that central banks on either side of the Pacific are set to pursue further stimulus measures. Bloomberg reports that Jiangxi Copper Co., (SEHK:358), China's largest copper company, and diversified metals player Zijin Mining (SEHK:2899) both gained impressively on the back of expectations of both US and Chinese stimulus action. 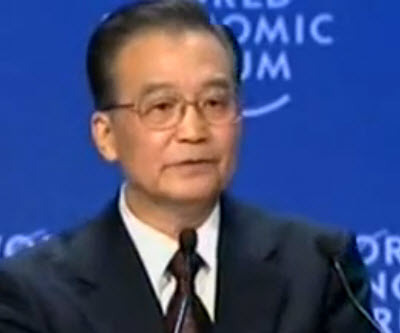 Premier Wen Jiabao said during a speech yesterday at the World Economic Forum in Tianjin that China had "ample strength" for fiscal and monetary stimulus, and that it would use a new 100 billion yuan (USD$16 billion) fiscal stabilization fund for "preemptive policy and fine-tuning to propel stable economic growth." The Jackson Hole speech delivered by Federal Reserve Chairman Ben Bernanke at the end of last month has also generally been interpreted as a positive sign that the US government will press ahead with further stimulus measures.